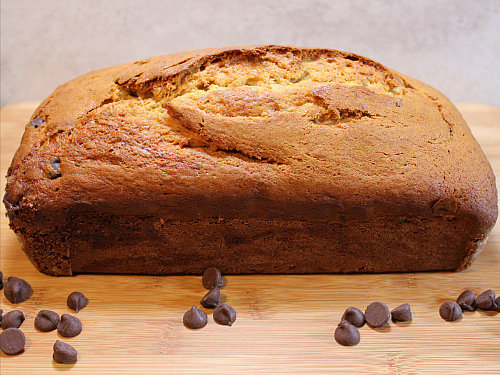 we had a few overly ripe bananas hanging out on our kitchen counter recently, so we decided to make a loaf of banana bread in order to use them up. 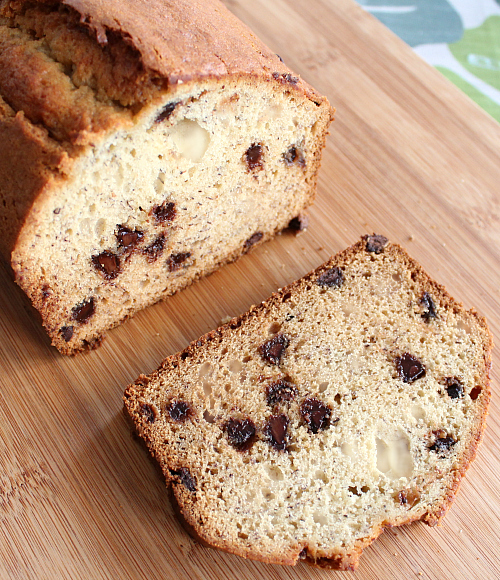 banana bread is a treat that can't be beat, and the addition of chocolate chips to the batter made it even better! super easy and really simple to whip up, this recipe is a classic. 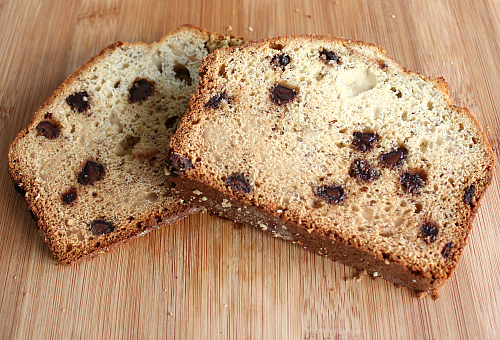 you could always swap out the chocolate chips for walnuts instead, or you could just add some walnuts in there too along with the chocolate chips. now that sounds good! preheat your oven to 375 degrees F. in the bowl of an electric mixer, cream together the butter and the sugars until light and fluffy (about 3 minutes). add the egg and beat well to incorporate. mix in the vanilla and the mashed bananas. in a separate bowl, sift together the flour, baking powder, and baking soda. add half of the sifted flour mixture to the batter and mix just until incorporated. add the remaining flour and beat well. stir in the lemon juice. fold in the chocolate chips. 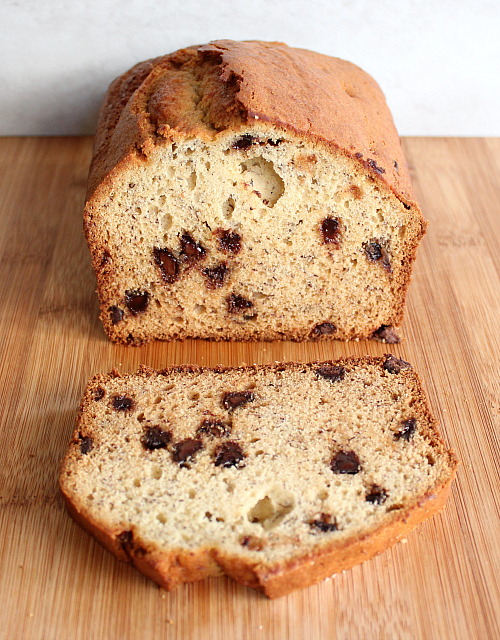 pour the batter into a loaf pan that is greased and floured or lined with parchment paper. bake at 375 degrees F for 15 minutes, then reduce the temperature to 350 degrees F and bake for 45 minutes, until the bread is golden brown on top. once baked allow the bread to cool in the pan for 10 minutes before removing the bread from the pan and transferring it to a wire rack to finish cooling. wish i had a slice! I can smell it through the computer. That would make a nice snack by putting peanut butter on top and maybe some sliced bananas. I am ready for snack.